The Underground station opens for the day. Copyright Jim Grover. Most of London's high streets live a double life. During the day they're flooded with shoppers and commuters. At night the bars swing into action and the baton is handed over to nightlife. 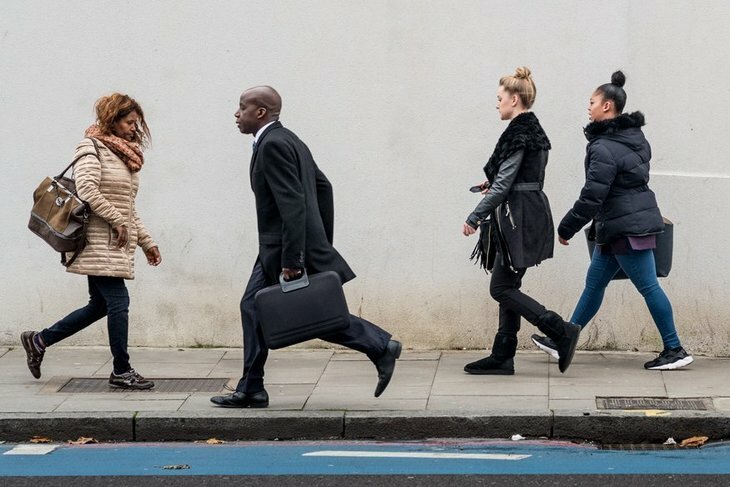 Commuters make their way to work. Copyright Jim Grover. Clapham High Street is one place where this dual identity exists. Photographer Jim Grover has captured the dichotomy with an innovative approach. He has photographed one side of the high street in colour and only during day time, the other in black and white and only at night. 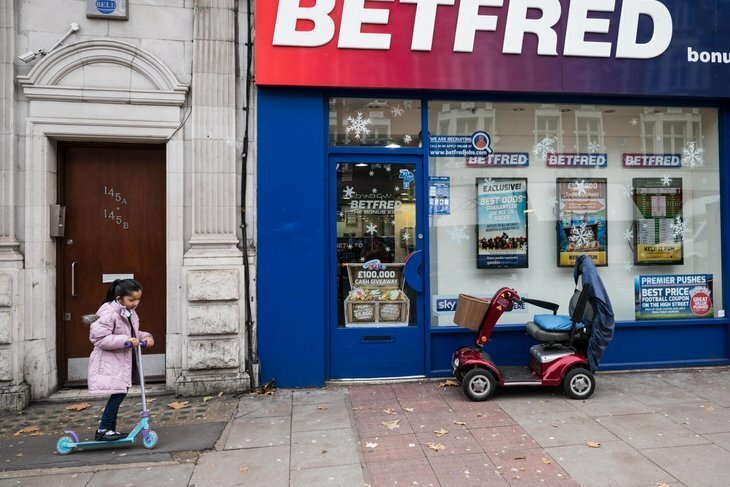 A customer has popped into a betting shop. Copyright Jim Grover. The contrast makes it feel like two different worlds even though they're just across the road from one another. The sun goes down on another day in Clapham. Copyright Jim Grover. 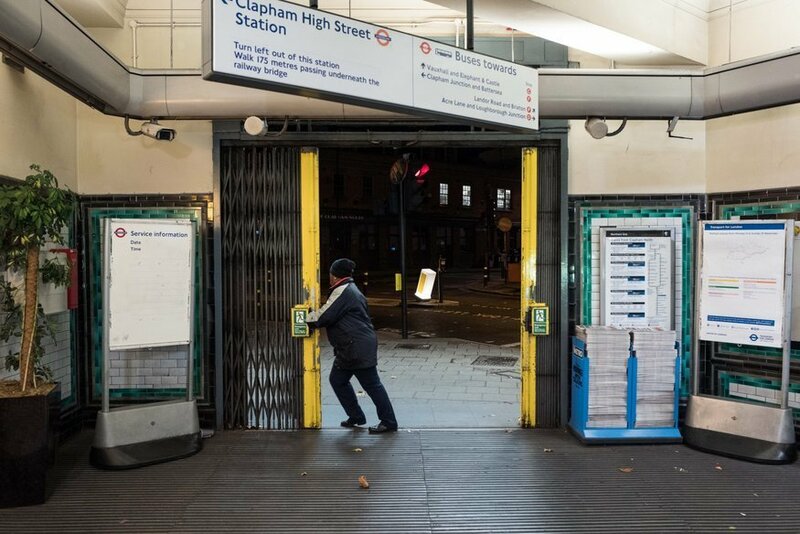 The images in this article are only a small sample of the photo essay which will be exhibited in Clapham in April. 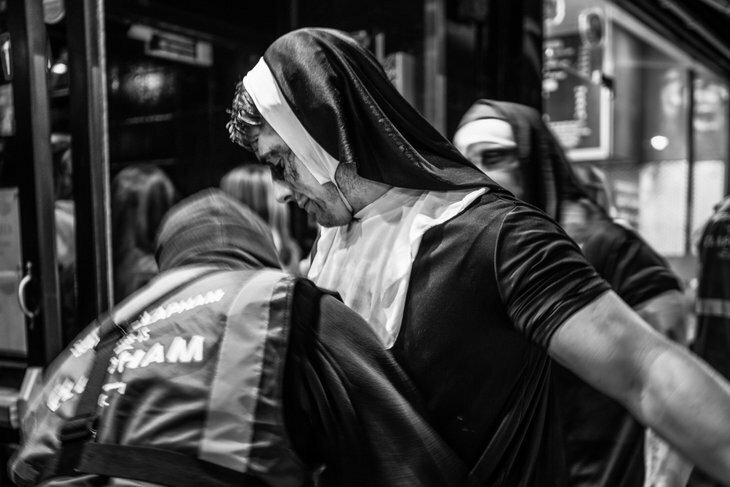 We assume fancy dress is part of going out in Clapham. Copyright Jim Grover. This is a particularly pertinent series given the questions about what the future of our high streets will be. With online shopping placing increased pressure on most high street retailers, this snapshot could be a record of a time that may not exist in five or 10 years. 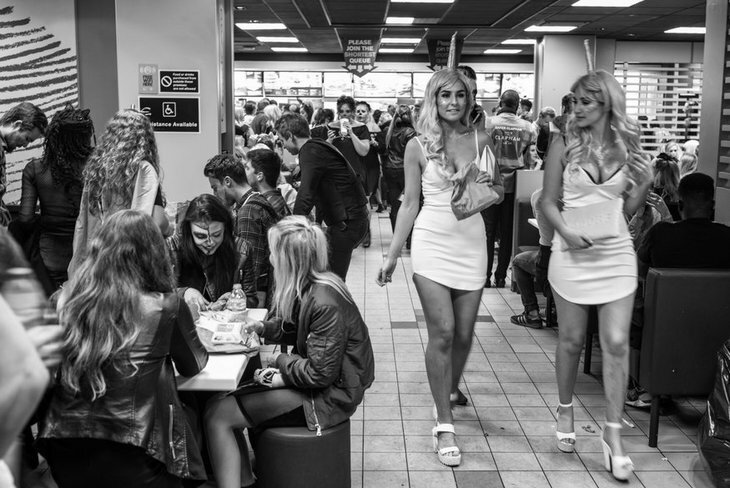 Fast food places do a roaring trade at night. Copyright Jim Grover. 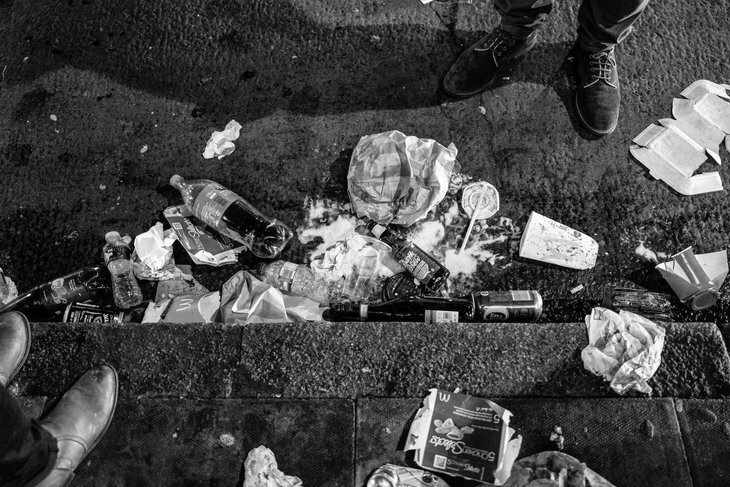 Photographer Jim Grover is based in Clapham so the evolution of this high street has a particular personal resonance for him. Though the aftermath is quite messy. Copyright Jim Grover. 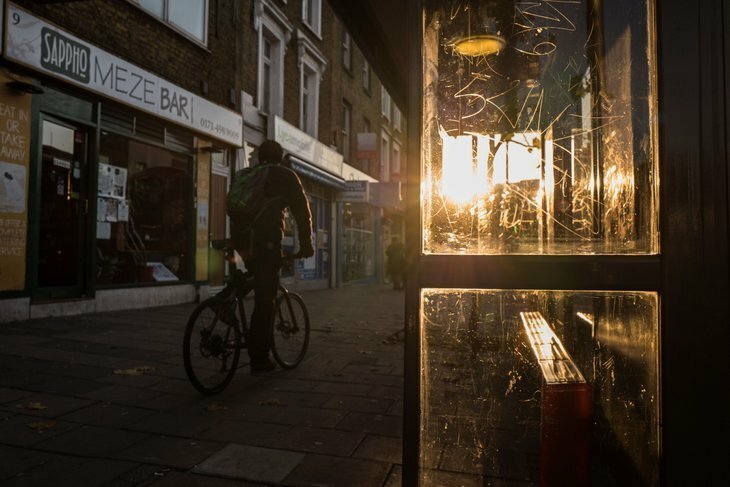 48 hours on Clapham High Street: A Photo Essay is on display at Omnibus, 1 Clapham Common North Side, SW4 0QW from 3-30 April. Entrance to the exhibition will be free.